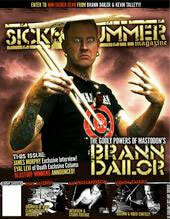 Paul Wandtke uses and is endorsed by Trick drums, Evans drum heads, and Vic Firth drum sticks. Paul Wandtke is a very open minded and hard working student. He always enters and exits his classes with a positive energy, an energy that inspires other students and the like to constantly stay active in class. Smiles often arise because of his very warm and passionate personality. 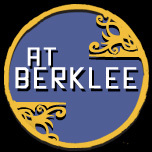 Teachers often say that he is the type of student that Berklee needs and should continue to receive. 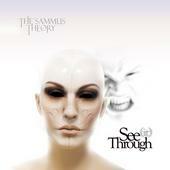 Paul is receivng national regonition with his new band The Sammus Theory. Check out what all of the fans think of my joining with The Sammus Theory HERE. The Sammus Theory have been featured on MTV and are official Rockstar Energy Drink artists. Other Rockstar artists include bands like Avenged Sevenfold, Slipknot, As I Lay Dying, Mastodon, Bullet for My Valentine and many more. Also note that Paul is featured on his endorsements websites two of which are: His artist profile on Vic Firth’s website (his name is right next to Bill Ward under the W section). And his artist profile on Trick drums website. Prior to Berklee Paul Wandtke received his associate degree in percussion from JJC (an accreditid school of NASM), and then was hired by Carnival Cruises as a show band drummer for most of 2008. During his 1st semester at Berklee (SU 2008) Paul received a GPA of 3.713, which put him on Berklee’s Dean’s list giving him recognition around his hometown. Paul performed drums at Charlie Shawnessy’s senior recital on August 13, 2008. Paul joined Living Syndication. 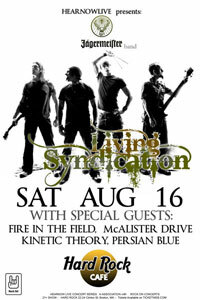 They performed many venues around Boston and their show at the Hard Rock on August 16, 2008 is most notable because tickets sold out two hours before the show started. Paul performed conga in most bars/venues around Boston in support of 360 Management Group LLC (check out his list of past performances HERE). He even worked for Phonathon which is a Berklee program that seeks donations from alumni. Paul tackled thirteen classes and received a GPA of 3.789. During this same semester Paul was appointed as a contributing writer for the national drum magazine Sick Drummer. www.sickdrummermagazine.com Please note: It’s an amazing feet on Paul’s part considering that he is a student, and the ironic thing is that Sick drummer approached him via telephone where they informed Paul that out of two-hundred drummers; they wanted him for the job. Paul is now contributing alongside many accomplished and noteworthy artist professionals in the music industry. 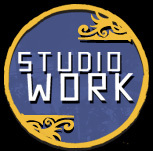 Artists include Sean Reinert, Derek Roddy, Bobby Jarzombek, Dave Culross, Tim Yeung, George Kollias, Steve Asheim, Franck Camus, Chris Pennie, and many more. 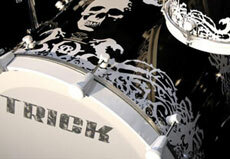 Paul was invited to the winter Namm convention courtesy of his endorsement with Trick drums. 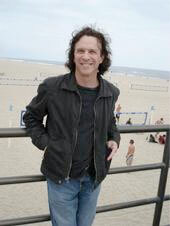 Paul was a networking maniac and got to socialize with many accomplished artists and drummers. 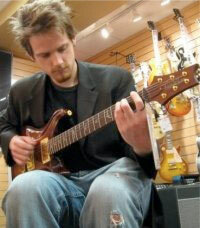 Conversations would often start by the simple fact that he is a Berklee student. He even received quite a few contacts one of which is the percussionist for Alicia Keys. Immediately after Paul mentioned that he is a current student at Berklee studying drum set, Pablo Batista requested that they stay in contact by exchanging phone numbers. Paul also established contact with The Exies. Paul has been contacted to be the touring fill-in drummer for The Exies, a major label rock group that is in preparation for a tour across the U.S. for sometime in 2009 (Paul hopes that the tour does not start during his third semester at Berklee). For more information about The Exies please visit www.the-exies.com or www.myspace.com/theexies. Paul is endorsed by Trick Drums. Other endorsed Trick drums artists include: Chris Adler (Lamb of God), Adrian Erlandsson, Nick Barker, Bermuda Schwartz (The “Weird Al” Yankovic Band), and many more! Find Paul’s name alongside with these great artists at www.trickdrums.com. You can also find Paul’s name next to a roster full of accomplished artists at www.vicfirth.com as well. For photos from Namm please visit: www.myspace.com/paulwandtke and click his Namm photo album. 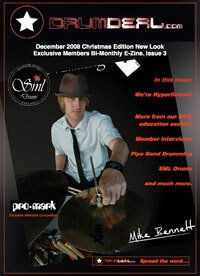 Paul was featured in the new online January issue of Drum Deal magazine the same magazine with the cover featuring Hillary Duff’s drummer Mike Bennett, for more press go HERE. Paul recorded drums for singer/pop songwriter Jessica Mellot (www.jessicamellott.com). support of Rob Craft’s jury examination. Paul worked for Berklee’s Phonathon during this semester a program that raises money for the school via telephone conversations. 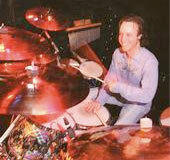 Paul Wandtke (student #384352) was my PIPC private drum set student for the fall ’08 semester. I am writing on his behalf regarding his scholarship application. Paul is one of the most motivated students I have ever taught. His drumming abilities are on an equally high level. Always more than prepared with the previous week’s lesson assignment, Paul devoured everything that came his way. His energy is boundless, and his passion for music and drumming—coupled with a burning desire to succeed—is immediately apparent. He has taken it upon himself to set up his own website (www.PaulWandtke.com), and, through tireless self-promotion, he has become an endorser for Vic Firth Drumsticks, Evans Drumheads, and Trick Drums. Along with his talent, energy, and drive, Paul has an out-going, warm personality which made teaching a pleasure. There is no doubt in my mind that he is destined to succeed and live his dreams. I hope you will take this letter of recommendation into consideration with regard to Paul’s scholarship application.